ABB - The Rogers Co.
ABB Customer World is a proprietary trade show held annually in either Orlando, Florida, or Houston, Texas. The Rogers Company engineers and fabricates all of the exhibits and graphics for this event and for the last seven years also served as the General Contractor for the show. This event has grown from a 30,000 sqft show in 2006 to approximately 200,000 sqft in 2017. 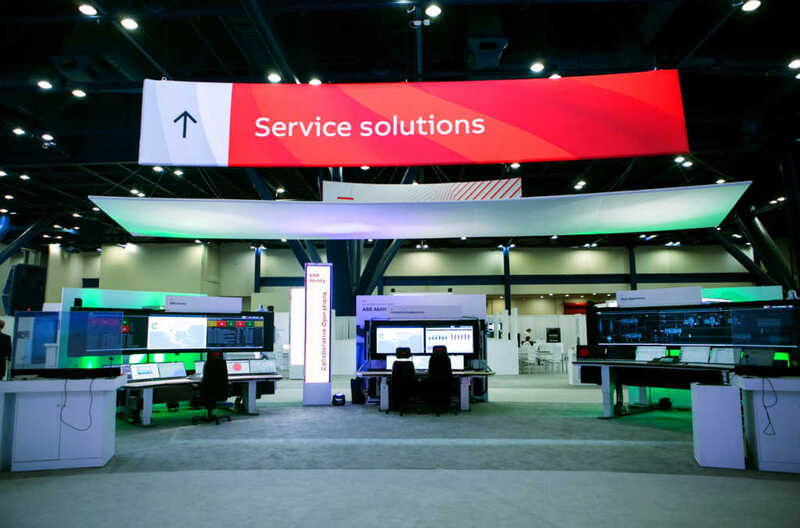 In addition to over 10 truckloads of exhibit properties, the show features power generating equipment the size of a semi-tractor trailer, robots, and a technology arena that incorporates over 200 monitors and a control room. Rogers is unique insofar as we are one of a few companies our size that have the experience and wherewithal to provide this “floor to ceiling” turnkey service. 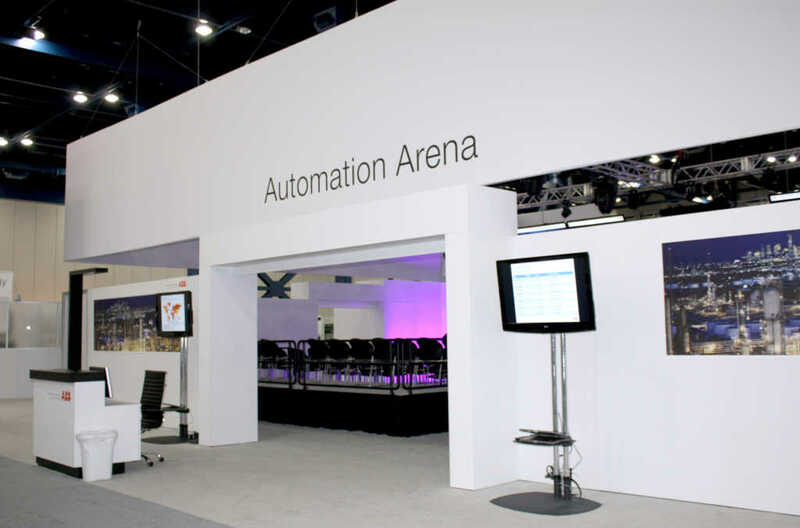 ABB’s Automation Arena was engineered to simulate a working power plant’s different emergency scenario protocols. The three major simulations included work stations that went from a seated desk position to a raised standing position, ceiling tiles that changed colors based on the severity of the emergency, and controlled room temperature that would get cooler during an emergency.